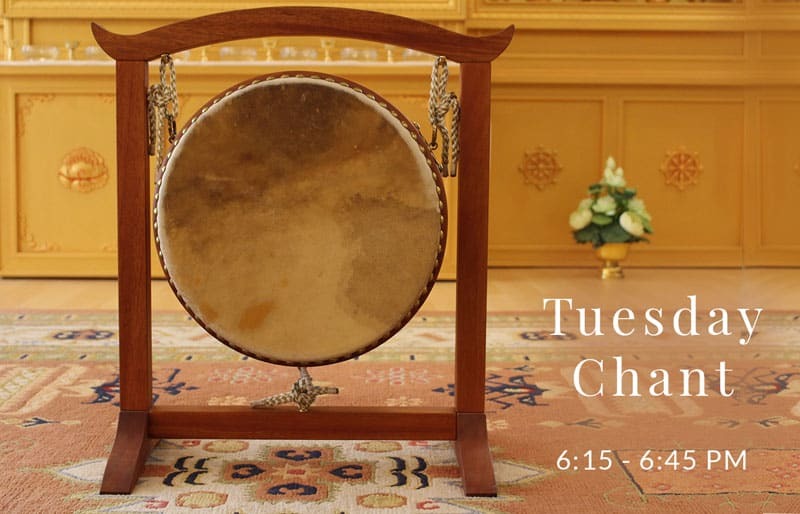 Tuesdays from 6:15 – 6:45 pm (with breaks between School Quarters; check Calendar for dates)Join us for a short practice with drums on Tuesday nights, when we chant a special set of prayers evoking the presence of Padmasambhava, one of the founding fathers of Tibetan Buddhism.Cost: Free. Donations welcome.This practice session is in Tibetan, accompanied by drum. It pairs well with the Guide to Chanting Tibetan Prayers class! View courses. The full moon is a time to gather for prayer and meditation. 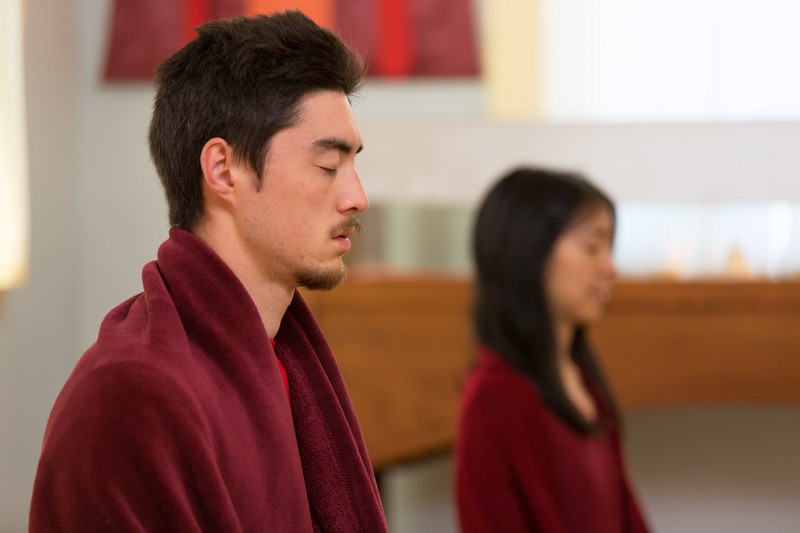 Join Nyingma students and friends in chanting the Vajra Guru Mantra interspersed with periods of meditation. The chant is held in one of our classrooms and is led by a community member. 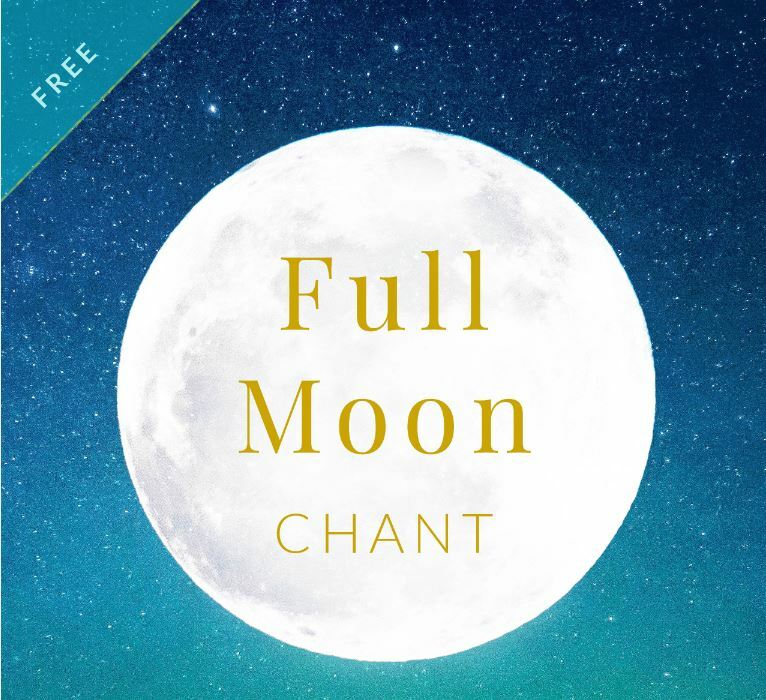 *Please note that if a full moon day falls on a Sunday, we will hold the chant from 5 – 5:45 pm instead.